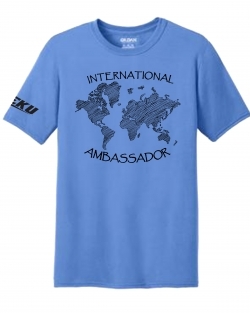 The Office of International Student & Scholar Services has an International Ambassador Program. International Ambassadors consist of international students and domestic students with an interest in the international arena. The International Ambassador Program is designed to assist new international students in getting acclimated to life in America, Richmond, and EKU. Another purpose of the program is to better connect our international students with domestic students. If you are interested in becoming an International Ambassador contact Wence P'Oryem at wenceslaus.poryem@eku.edu to schedule an interview.